Where your dental health is concerned, wisdom teeth (the informal name for your third set of permanent molars) are a bit of an anomaly. Unlike your other teeth, wisdom teeth are frequently removed for the benefit of the rest of your oral health. Also unlike other teeth, they typically don’t need to be replaced after extraction, since their removal helps restore your bite’s harmony rather than detracting from it. To help you better understand your wisdom teeth and the possible need to extract them, we answer a few important questions about your third molars and their role in your long-term dental health. 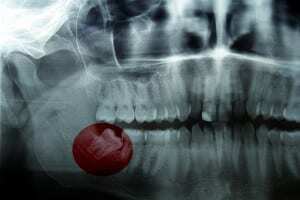 Why are third molars called wisdom teeth? Their appearance doesn’t grant you any particular insight or knowledge. On the contrary, third molars are called wisdom teeth because they typically appear during what was once called “the age of wisdom” – the ages between 17 and 25. By the time they erupt, most patients have already developed a full set of teeth that take up most of the space on their dental ridges. Should everyone have their wisdom teeth extracted? The choice to extract wisdom teeth usually stems from the problems that they can cause. When wisdom teeth become impacted (obstructed by the teeth already present), they can cause severe discomfort, as well as damage to your other teeth. While some patients can grow and develop their wisdom teeth without trouble, many still choose to extract them before the molars have a chance to cause trouble. What’s the point of wisdom teeth if they need to be removed? These days, most adults don’t need them, but experts believe that in ancient times, our ancestors required the additional chewing power that three sets of molars provided. Our ancestors also had larger jaws and could more comfortably accommodate the molars, unlike the smaller jaws of today’s typical humans. This may be an adaptation that is related to our processed diet compared to a whole food diet our predecessors enjoyed.